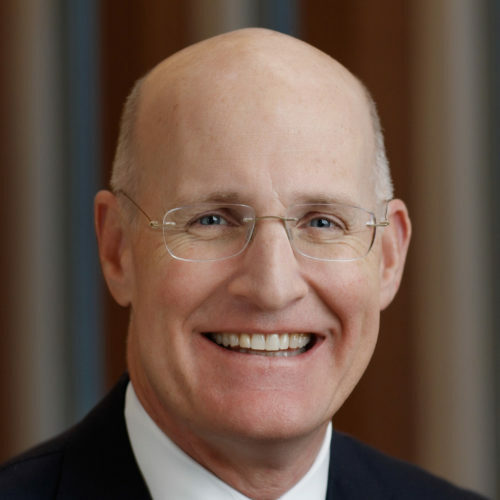 Andy Sieg is president of Merrill Lynch Wealth Management (MLWM) and a member of Bank of America’s executive management team. As head of MLWM, he oversees approximately 25,000 employees – including more than 14,800 financial advisors – who provide investment and wealth management strategies to individuals and businesses across the U.S. He also serves on the company’s Global Diversity & Inclusion Council, chaired by CEO Brian Moynihan. With approximately $2.3 trillion in client balances as of September 30, 2018*, Merrill Lynch is among the largest businesses of its kind in the world. Its financial advisors consistently rank at or near the top of various annual industry-wide rankings, including those conducted by Barron’s, Forbes, Financial Times, Working Mother Magazine and On Wall Street. Since joining Merrill Lynch in 1992, Sieg has held a succession of senior strategy, product and field leadership roles in the Global Wealth Management business. From 2005-2009, he led the Emerging Affluent Client Segment within Citigroup Global Wealth Management. In 2009, after Merrill Lynch’s acquisition by Bank of America, Sieg returned to Merrill Lynch. Earlier in his career, Sieg served in the White House as an aide to the assistant to the President for Economic and Domestic Policy. In 2015, he participated in the White House Conference on Aging. Sieg earned a Bachelor of Science in Economics from Penn State University, and serves on the External Advisory Board of its Schreyer Honors College. He also holds a Master in Public Policy degree from the Harvard Kennedy School, where he serves on the Dean’s Council. Sieg and his wife, Heliane, and their three children reside in Greenwich, CT.